As it stands now, do you have a clear picture of the various rental objects in your company? Histories, which object is available and when, an overview of your schedule and so on? With efficient rental planning you can save time and improve your customer services. 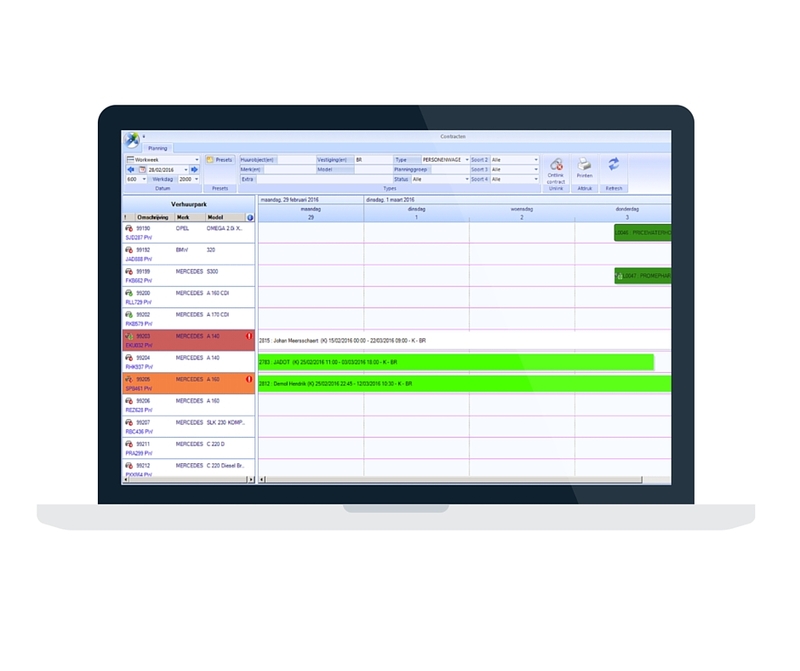 XDMS rental planning offers you all these options and, thanks to the flexible structure of our software, the planning is adjusted to suit your environment and way of working to a T.
Go for simple contract management and efficient planning with XDMS. Direct generation of the necessary contracts when rental property is created, goes out and is returned again. Our tag readers guarantee that rental property is recorded quickly and minimise the risk of making mistakes. Drag rental property and times into the planning if there are any changes. The necessary contracts and documents at your fingertips straight away. Fast entry of incoming and outgoing rental property. Follow up on fines and communicate with customers easily. Curious to find out what the XDMS rental module has to offer you? Did you know that Volvo and MAN, among others, use our rental module? Curious to find out what XDMS renting and leasing has to offer you?